Tree after Shattuck (1995) and Chiotis et al. (2000); classification after Bolton (2003). Brandão, C. R. F., C. Baroni Urbani, J. Wagensberg, and C. I. Yamamoto. 1998. New Technomyrmex in Dominican amber, with a reappraisal of Dolichoderinae phylogeny. Entomologica Scandinavica 29: 411-428. Chiotis, M., L. S. Jermiin, and R. H. Crozier. 2000. A molecular framework for the phylogeny of the ant subfamily Dolichoderinae. Molecular Phylogenetics and Evolution 17(1): 108-116. Shattuck, S. O. 1992a. 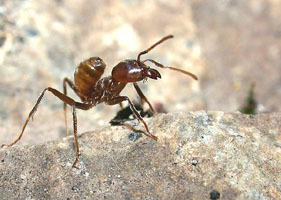 Higher classification of the ant subfamilies Aneuretinae, Dolichoderinae and Formicidae. Systematic Entomology 17: 199-206. Shattuck, S. O. 1992b. Generic revision of the ant subfamily Dolichoderinae (Hymenoptera: Formicidae). Sociobiology 21: 1-181. Shattuck, S. O. 1994. 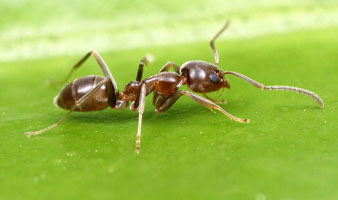 Taxonomic catalog of the ant subfamilies Aneuretinae and Dolichoderinae. University of California Publications in Entomology 112: 1-241. Shattuck, S. O. 1995. Generic-level relationships within the ant subfamily Dolichoderinae (Hymneoptera: Formicidae). Systematic Entomology 20: 217-228. Page: Tree of Life Dolichoderinae. The TEXT of this page is licensed under the Creative Commons Attribution-NonCommercial License - Version 3.0. Note that images and other media featured on this page are each governed by their own license, and they may or may not be available for reuse. Click on an image or a media link to access the media data window, which provides the relevant licensing information. For the general terms and conditions of ToL material reuse and redistribution, please see the Tree of Life Copyright Policies.